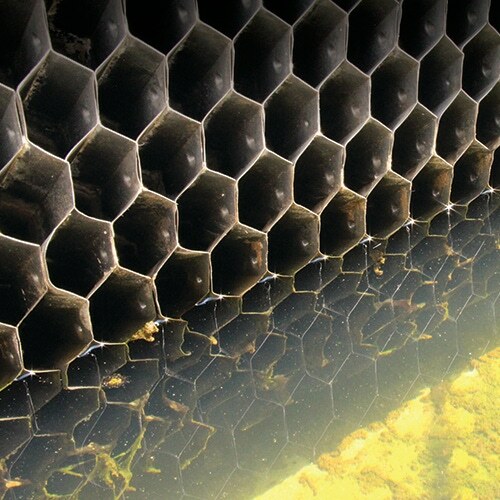 When our customers told us they needed an effective solution for removing scale that was safer than dumping acid into cooling tower water, we were all ears. 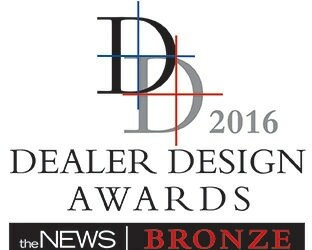 Shortly after, we introduced the TFC-200 Cooling Tower Fill Cleaner as a solution and 13 categories, 20 contractor reviews and 88 entries later, its unique features and ease of use has earned it a Bronze ranking in this year’s Dealer Design Awards from the NEWS. 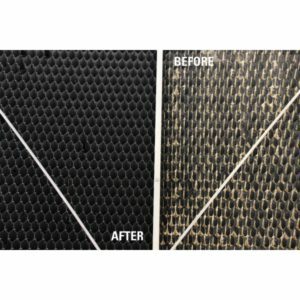 A special combination of innovative chemical solutions, pump technology and unique turbo nozzles makes this machine the best in its category and one of the most efficient cooling tower cleaners on the market. 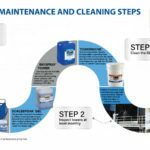 This all-in-one-system uses 300 PSI of cleaning power to increase the water flow, deep clean tower fill and eliminate hiding places for Legionella, scale and other energy-robbing bacteria on contact. 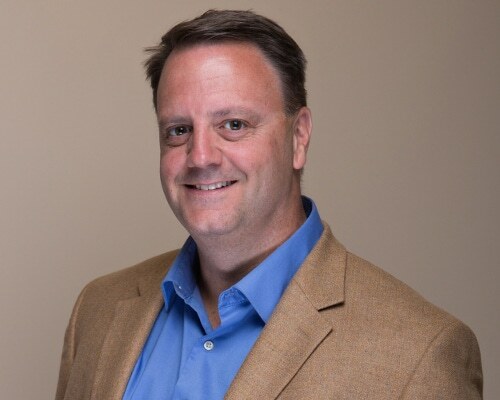 Plus, it was specially designed for use with ScaleBreak-Gel, our low viscosity acidic solution that provides a safer alternative with far less risks than using acids. 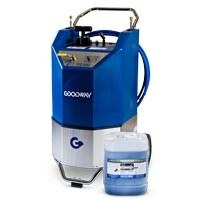 Naturally, this powerful, yet safe award-winning equipment is available at Goodway. 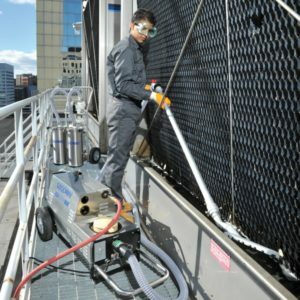 See our complete line of equipment to satisfy more of your unique cooling tower maintenance needs.